Ask any beauty expert about the right method of skin cleansing. He or she would surely recommend a facial cleanser. 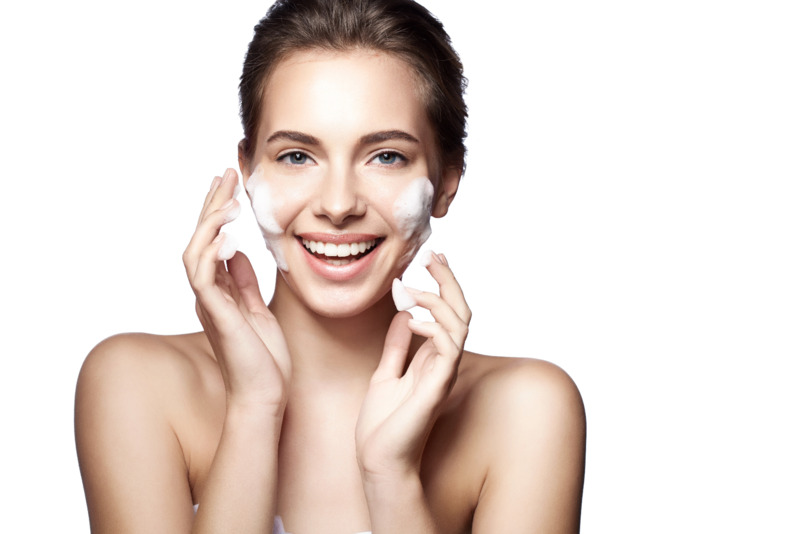 Right now, the market is filled with facial cleansers containing different base ingredients, which might make the job of picking the right one for you slightly difficult. Modern-day experts always encourage people to use oil based or lotion based cleansers over a face wash that lathers. Read on to find out the reasons behind such recommendations and understand the benefits oil or lotion based facial cleansers. Lotion or oil based cleansers offer gentle yet deep cleansing. They never spoil the natural Ph balance of our skin and thus even after a thorough cleansing session the skin doesn’t get dry. Instead, we are left with fresh and glowing skin that feels soft and supple. Face washes that produce too much lather takes away moisture from our skin and also rips it off all the natural oils responsible for making our skin healthy. The effects are particularly bad for individuals with aging skin. Oil/lotion based cleansing products, on the other hand, are good for people with all skin types, dry, oily or combination skin. Why using an oil or lotion based cleanser important for having healthy skin? It’s extremely important to use a facial cleanser containing high quality cleansing oils like apricot kernel oil, palm fruit oil etc. Top manufacturers like Skin Nation always look to incorporate such ingredients in their cleansing products. These oils work by regulating our skin and prevent excessive oil production. This in turn helps in eradicating acne, a bacterial infection common in people with excessively oily skin. The cleansing oils used in high quality facial cleansers bind to the bad oils produced by our skin and lift them away gently. This restores the Ph balance of the skin and makes healthier than ever before. The bad oils eliminated by oil based facial cleansers are the ones responsible for clogging our skin pores and leaving it at high risk of various skin infections including acne. Oil/lotion based facial cleansers offer deep cleansing. When it comes to cleansing, no other type of facial cleanser can offer you a better result than the oil or lotion based ones. These products work by eradicating bacteria and impurities from the deepest layers of the skin and also remove dead skin cells. It might be your stubborn makeup or dirt the oils used in these cleansers would successfully bind to it and remove it without leaving any residue. They are great for women with wrinkles. Companies like Skin Nation use high quality plant based cleansing oils for making their lotion or oil based cleansers. These oils are rich sources of antioxidants and thus help in fighting the harmful free radicals responsible for skin aging. Cleansing your face using these oil-based products would help in keeping it duly hydrated and the natural oils in your skin would remain intact. This will not only prevent skin aging, but will also remove the existing wrinkles to a great extent.